Won’t You Be My Neighbor? celebrates the legacy of a man whose message remains as important today as it was then. Nostalgia has been a driving force behind current day promotion as marketers and content creators attempt to harness that power for capital gain. But the influence of our childhood extends far beyond a sentimentality. It shapes our personality, our values as well as our morality that we carry into adulthood. Someone who understood this fact ever since the beginnings of television, was Fred Rogers (Mister Rogers), and after being disappointed in the various ways that children’s television had been used for simple slapstick or serving as advertisements, Rogers saw his opportunity to use this as a tool for promoting kindness and love to children at an age where they would need to be exposed to those values most. Won’t You Be My Neighbor? is a documentary directed by Oscar-winning documentary filmmaker, Morgan Neville (20 Feet From Stardom) on the legacy of Mister Rogers and the impact that he and his children’s television show Mister Roger’s Neighborhood left on countless children and adults, as well as on pop culture and politics. The brilliance behind Mister Rogers is that in addition to just being a kind-hearted, positive force of love and understanding in the world of children’s programming, he was also able to use his position as a means of discussing complicated and often morbid real-world issues in ways that were honest and mature, yet still palatable for young children. Rogers believed that children were capable of comprehending the harsh severity of the reality that they face every day, and that they should not be shielded from it. Any time that we were struck by a national tragedy, whether it be the assassination of John F. Kennedy, the Challenger explosion, or 9/11, Mister Rogers always found a way to provide context and reassurance to children, and even adults, that even though the world can be a scary place sometimes, there’s always someone willing to show us the light that lives in all of us, even in the darkest of times. 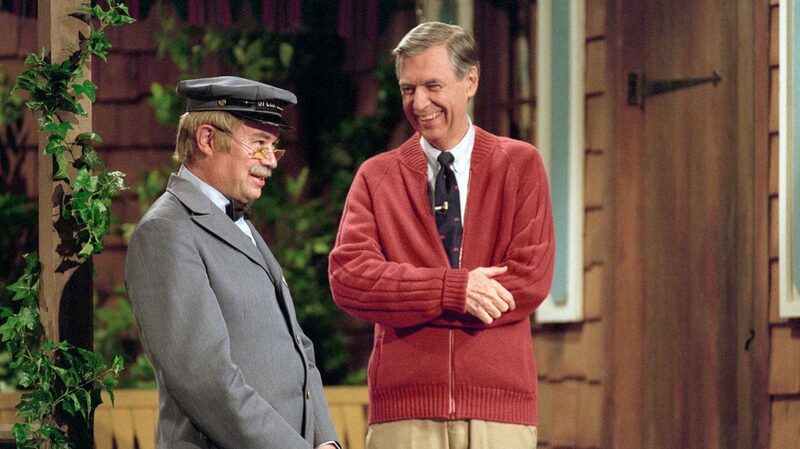 Much like the person at the heart of this story, Won’t You Be My Neighbor? seems to exist almost for the same reasons that he did. It’s no secret that the current state of world affairs in the past couple of years has been disheartening, to say the least. The documentary is fully aware of this fact without ever having to explicitly reference any specific topical issues. Much like Mister Rogers himself, the film trusts that its audience is aware and intelligent enough to understand the issues we are currently facing and knows that it doesn’t need to spell out its message for us. 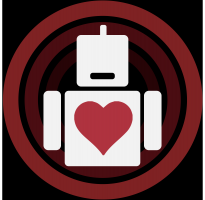 The film itself also follows in Rogers philosophy that the need for love and concern towards your fellow neighbor, especially in times of hardship and uncertainty, is not naive or childish as some people might try to have you believe, but an absolute necessity, and the best thing that we can hope to put out into this world. The film clearly has an overwhelming affection for Rogers and his sentiments, but the film is also critical and aware enough to question whether or not Rogers’ messages were ever seriously heard by the world, and if not, were they all just for nothing? The film never tries to explicitly answer this question either, but it does, however, show us all of Rogers’ numerous achievements and contributions over the course of decades, including some potentially controversial personal details that don’t always paint him favorably, as well as the impact that his work has had on people of all ages, and lets all of those factors speak for themselves. The emotional response to Won’t You Be My Neighbor? from all walks of life regardless of whether or not they had any pre-existing attachment to the subject speaks to the sheer power of Rogers’ mission and to the effectiveness of the documentary itself. The only areas in which the film’s attempts at emotional investment fall short are in the brief animation segments that attempted to personify Rogers’ inner child-like anxieties. These feel obligatory following the trend of recent documentaries that have done the same but functionally it is stylistically inconsistent with Rogers method and medium of storytelling. Perhaps if these same segments were done by using puppets, the effect might have been stronger, falling more in line with Rogers’ approach. 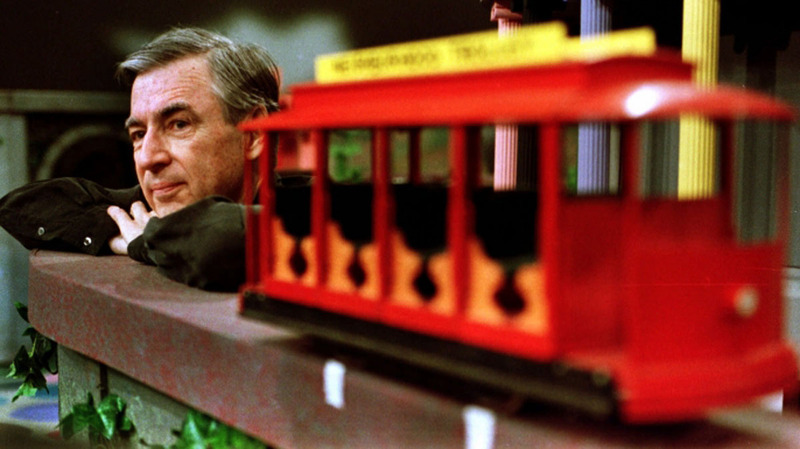 Whether the potential of Fred Rogers’ message of spreading kindness and acceptance towards your neighbor in times of darkness was ever fully realized can be debated given the current state of affairs, but what can’t be minimized is Rogers’ efforts in promoting that positivity. Given the harshness of reality, and how often unconditional love and acceptance is looked down upon as a weakness, we must strive to continue his legacy. Without explicitly saying so, the message behind Won’t You Be My Neighbor? is clear: Humanity needs kindness and empathy. Mister Rogers had it inspiring an entire generation to have the same.